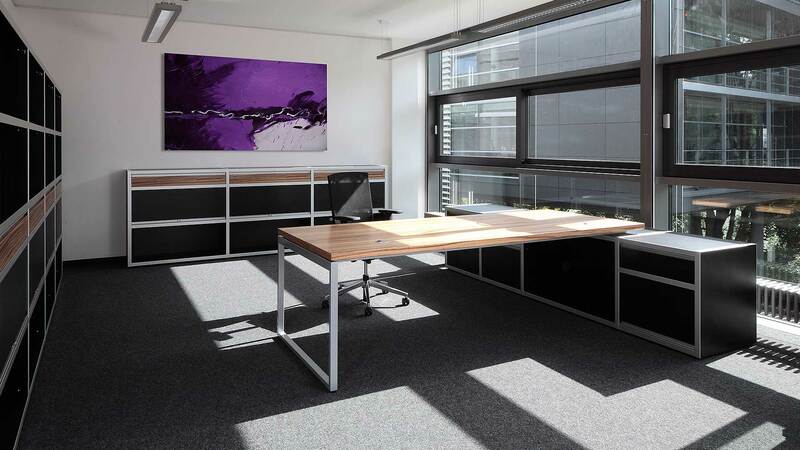 Clear lines, timeless elegance – archiva management creates representative environments for managers. 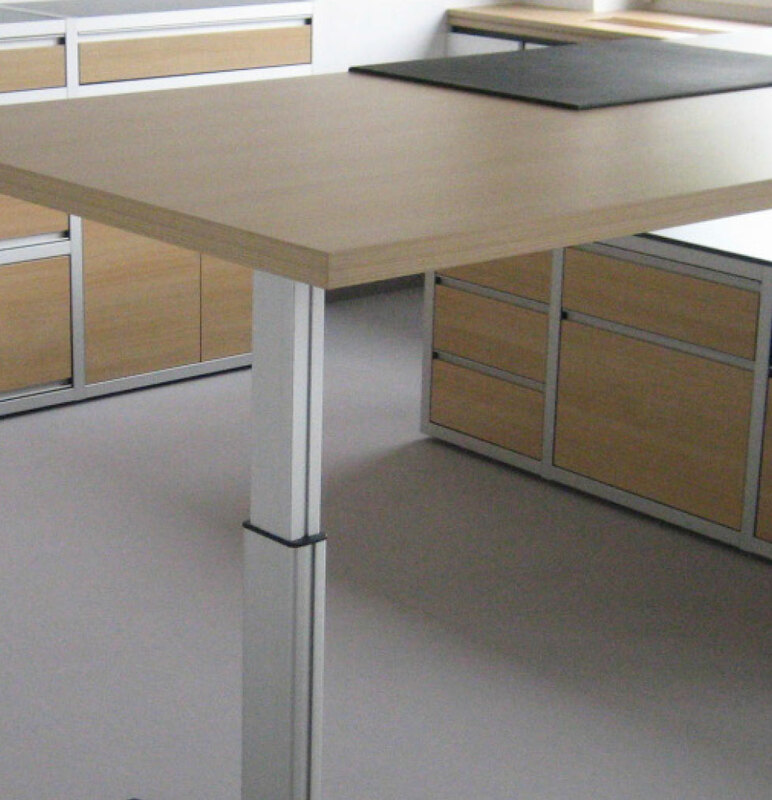 A 40 mm thick top of a table is placed onto an archiva sideboard, which may be fitted upon customer’s request. All cables are laid inside the sideboard, technical devices may be integrated without any problems. 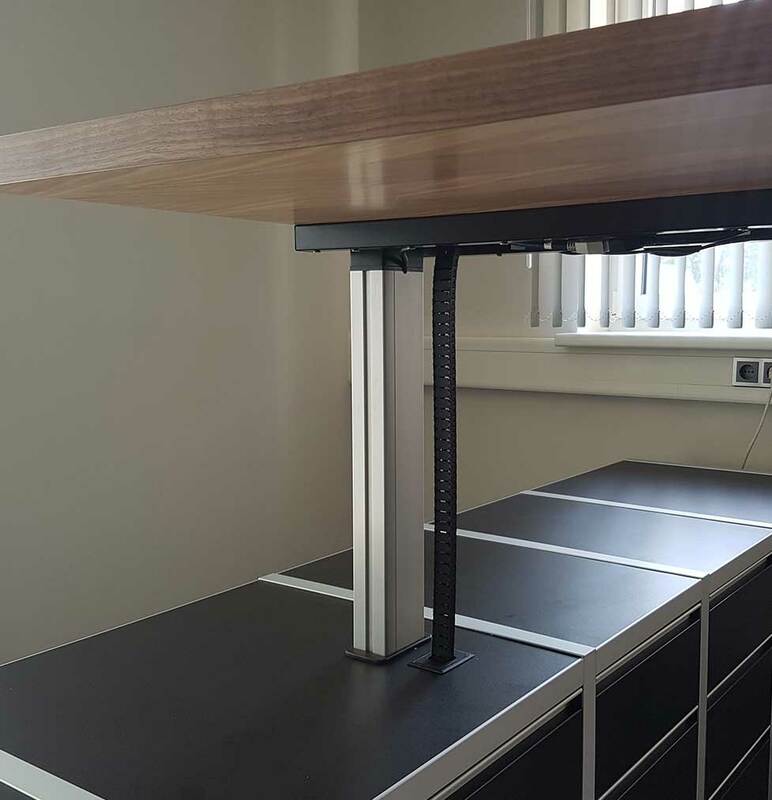 A model with motorized height adjustment can be supplied as well. The lifting column is in this case integrated in the side board. The height adjustment range is from 74 to 124 cm.